In-line Device: In-line stainless steel boxes with two plumbing connections. Your water passes through a simple U-bend. Surrounding the U-bend are two sealed chambers with a cylinder in the middle of the U-bend. All three chambers are filled with Grander Water. Grander is a high ordered water that influences your water passing through the U-bend. The close proximity ‘Grander Effect’ helps to change the structure and performance of your water returning the natural properties of water to your mains water. Grander performs the same scale crystal conversion as described under Limescale for homes, businesses, farms and swimming pools. Grander also has many health and healing benefits plus business and industrial savings. 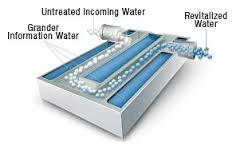 Grander Water Revitalisation units are not filters, They are Revitalisers. 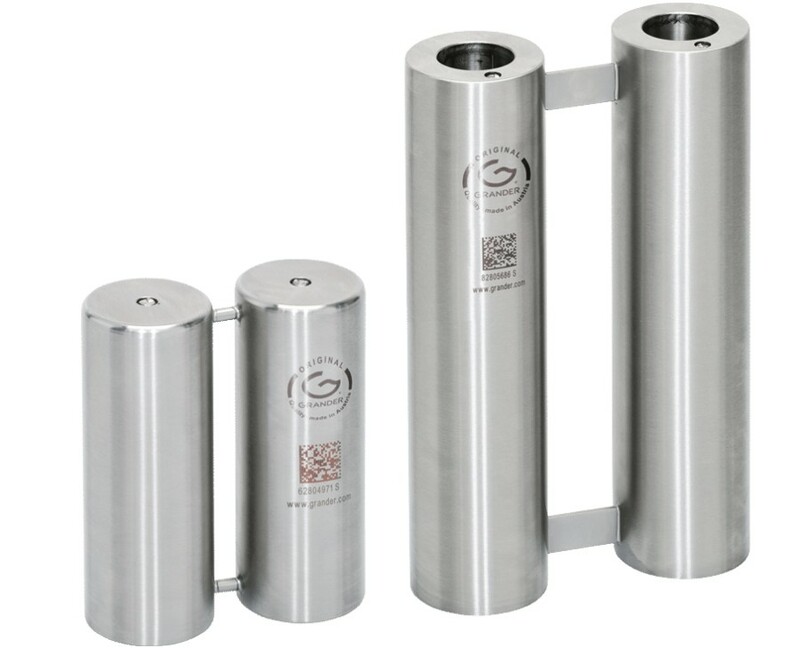 Immersion Devices: These are cylinders filled with Grander Water that are immersed into tanks of water or swimming pools. These devices can be used to either boost the effect of the in-line device or to use when the in-line option is not practical. Eg Field water troughs. Installation: by a professional plumber. Descaling cooling towers and recirculation systems. No Power, No Mechanism, No Consumables, Nor Maintenance. The water is amazingly soft and refreshing. Showers and baths are a sensational experience. Reduces the use of chemical disinfectants and cleaning agents in pools and cooling towers. Wetter Water improves chemical and disinfectant actions requires less wash water. Treats Pipe sizes from ½” to 4”. Larger pipe sizes can be accommodated with specific manifolds. Price: For domestic 2 persons Grander W75 € 1,840.00 incl. VAT & delivery. Units selected according to incoming mains size and number of persons residing in the residence. You are recommended to ask the Grander Consultant for advice on the right size of Grander unit and Accessories.